Little League International said it is confident that Chicago's national championship Little League team did not violate "residency regulations" after investigating allegations that the team added top suburban players to make it stronger. "Little League again reviewed the Jackie Robinson West documents and required the league to provide further information on each player to confirm residency eligibility," Little League International spokesman Brian McClintock said in an emailed statement. "Following this additional review, our initial determination that the Jackie Robinson West players meet eligibility requirements still stands. Little League considers the issue closed at this time." The statement came after DNAinfo.com posted a lengthy story about allegations raised by Chris Janes, vice president of the Evergreen Park Athletic Association, that some players live in suburbs with already established Little League teams. But those allegations were disputed by the president of the league, who said it "did not recruit" any players. "Nothing was done to put these kids together," Bill Haley told DNAinfo.com. "We absolutely did not cheat." A message was left by The Associated Press seeking comment from Haley on Tuesday. The team made national and international headlines when it made it to the Little League World Series, capturing the attention of major league players, who contributed money so the families of the all-black team from the city's South Side could attend the tournament in Williamsport, Pennsylvania. 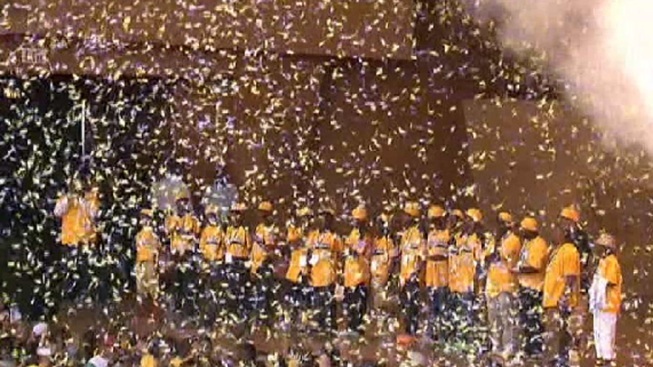 After winning the national championship game — becoming the city's first all-black team to claim the national title — and then falling to South Korea in the world championship game, Jackie Robinson West was feted with a parade and a visit to the major league World Series and the White House, where they met President Barack Obama and first lady Michelle Obama. Janes said Tuesday that he doesn't know if the matter is closed permanently, and that the international league officials told him they might revisit the matter if more information comes forward. "I'm more concerned about the bigger issue, not Jackie Robinson," said Janes, who has four sons who played Little League. "If the rules ... that govern when and where the league could get players from were bent or broken, it makes it harder for the ones that don't violate them to stay afloat ... there is no incentive for parents to have kids play in the leagues they're supposed to." He said Little League organizations are dwindling, "and you're going to see some in little communities like mine dissolve," he said. "I'm not out to get Jackie Robinson, but there are specific rules in place that talk about this ... why would you make exceptions?" As Jaheim Benton and his teammates were winning the hearts of Little League fans, his family was battling homelessness. Then an area businessman stepped up. 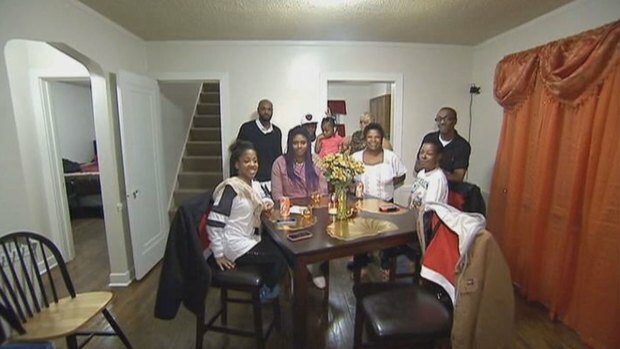 NBC Chicago's Regina Waldroup reports as the family celebrated their first Thanksgiving in their new home.